Photo courtesy Social Media. 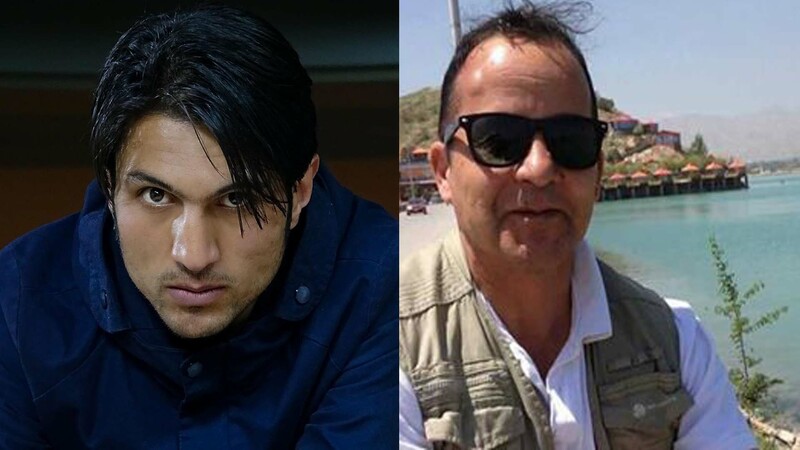 Ghazi Rasuli, left, and Yar Mohammad Tokhi, right, were two of ten Afghan journalists that lost their lives on April 30. When video journalist Yar Mohammad Tokhi took his morning ride to the privately-owned TV station in Kabul where he worked, he may have been thinking about his upcoming wedding. He may have been looking forward to a day of photography, followed by an evening with his soon-to-be bride. But it was not to be. Not long after the Tokhi arrived at the scene of an attack in central Kabul, ready to film, a suicide bomber joined a crowd of journalists and blew himself up. Tokhi returned home dead  in an ambulance. His colleagues from TOLO T.V. were with him throughout his final journey. Tokhi was one of nine media staff killed in the April 30 blast which marked the worst single day for Afghan journalists since the U.S. and its allies toppled the Taliban regime in 2001. The suicide bomber had arrived at the scene  much as many of them had, with a camera in his hand. In today's Kabul it is nearly impossible to tell who might be a friend and who might be an enemy. All told, 26 people lost their lives  in the two bombings that occurred at the site, in relatively quick succession. ISIS claimed responsibility for the blasts. A tenth journalist, BBC reporter Ahmad Shah was shot dead  by unknown gunmen later in the day in the eastern province of Khost, according to the BBC. Yar Mohammad Tokhi, 54, had been a loyal employee  of TOLO TV, the country's largest independent broadcaster, since it first went on air in 2004. His job was to document Afghans in their joy, and, as was all too common, in their grief. What a painful day. What a hard job. What a dark time in Kabul. @TariqMajidi  is covering the funeral of his colleague: Yar Mohammad Tokhi. Tokhi's modest salary was the sole source of financial support for his mother and sister, both of whom are seriously ill. According to his colleagues at TOLO, he was also engaged to be married. The day before his death, he and his fiancé were looking to book a venue in Kabul for their wedding in the coming weeks. Tolo TV has suffered deadly attacks on staff in the past. In January 2016, the Taliban group carried out  an attack on staff of the station in Kabul, claiming seven employee’s lives. Another victim of the attack was 26-year-old Ghazi Rasuli, a reporter at the private 1TV station, who was associated with a new generation of aspiring politicians  in Afghanistan. Oh god, I can't believe. We lost our good colleague, Ghazi Rasuli, in today's bombing. Rasuli worked at 1TV for four years, but his ultimate aim was to become the country's foreign minister, according to a friend. He was pushing to become foreign minister. He used to work on stories that others were unable to do. Unfortunately, he is no longer with us. While Western journalists posted to Afghanistan tend to receive extra compensation for the dangers of working in the country, Afghan journalists typically work for lower pay, and often without insurance. 1TV cameraman Nowroz Ali Rajabi  was also killed in the blast. Reporters and photographers from the AFP and Radio Free Europe also died in the blasts. Among them were AFP photographer Shah Marai , Mashal TV journalists Saleem Talash  and Ali Saleemi ; and journalists Maharram Durrani , Sabawoon Kakar , Abadullah Hananzai  from Azadi Radio, which is part of US-backed Radio Free Europe/Radio Liberty. Global Voices expresses its deepest condolences to journalists facing threats, and to the families of journalists who have been killed because of their work. We stand in solidarity with all media workers seeking to protect freedom of expression online and off. Please consider  donation to support the family of Yar Mohammad Tokhi.